Rapunzel and her cute pony Blondie want to go outside for a lovely ride, but they need help in reassembling their carriage. Help them assemble all the pieces together, then decorate the carriage with lovely accessories. 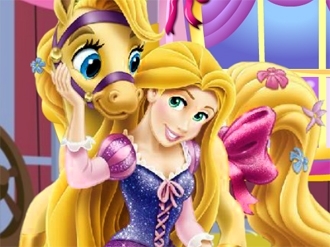 Rapunzel and Blondie will have the most beautiful carriage in the kingdom, thanks to you. Enjoy! Rapunzel is now a mommy and she is planning to do some decorating today. Join her and let's start with her room! Find the prettiest furniture and decorations. Make sure the room looks girly and colorful. After that you can move to the next level where you're going to decorate the baby's room. There are so many things you can do! Change the colors of the walls, the floor and pick nice furniture. Take a look at everything you have and make the room look perfect. 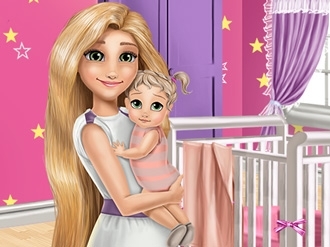 Have fun finding the cutest baby crib and enjoy your time with Rapunzel and her sweet baby girl! Now Sofia the First will give you the opportunity to decorate her dream room. Switching the wall color choose the right wallpaper, then pick a cozy bed and a pretty wardrobe and organize the entire room as you dreamed. Have fun! 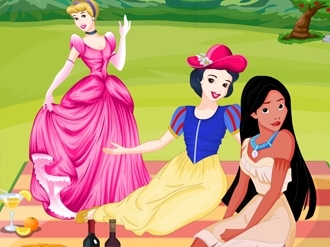 Every weekend the princesses would go out. This time they have decided to a park which is far away from the home. They have many works to do as they are given responsibility to take care of everything. Now, they have decorating the place. Help them complete the work as much as you can. Only after they are done with the decoration, they can have lunch. Help them arranging things. Keep things where they are supposed to be. Give a good look to the place. Let the spectators be taken aback. The princesses will be grateful for your service. Thank you so much for being kind with them. 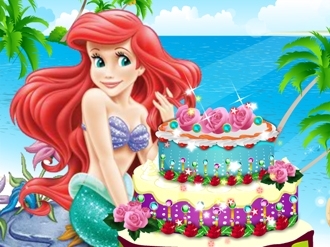 Cook and decorate a beautiful and delicious cake with Ariel the little mermaid.Have fun making the most beautiful cake there is!